We didn't set out to be different, just to be true to ourselves. In lieu of laying plans to become the preeminent makers of precision rimfire rifles and pistols, our story begins after hours in a modest, nondescript basement in Carroll, Iowa. Not quite fulfilled with his days as a tax collector, Tom Volquartsen spent his evenings restoring, bluing and customizing guns. After several years, word of mouth and support from his wife and four kids, he quit his day job to become a full-time gunsmith. 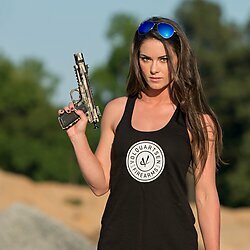 His vision for custom guns gave him an almost immediate following. 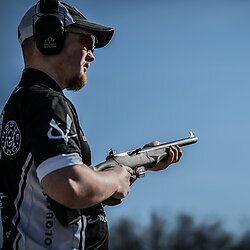 Volquartsen guns were totally unique in the market, both in terms of looks and performance. Fueled by opposition and disbelief, he pioneered a new, incredibly precise breed of semi-auto rimfire guns. Today, Volquartsen is run by the family's second generation. Working together to embody their father's relentless drive and quality standards, brothers Scott and Nic Volquartsen are now leading the way to produce some of the most widely respected and celebrated firearms on the market. 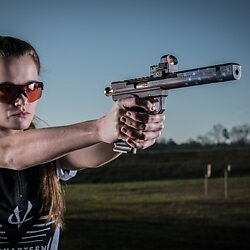 We're proud to have won the trust of casual plinkers and professional shooters alike, who all count on Volquartsen when it means too much to miss. 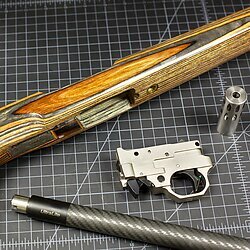 We craft every firearm and accessory we make using only the highest quality materials and production methods, ranging from time-honored hand tooling techniques to custom in-house CNC and EDM precision-built technology. For added quality, every gun we make is built from start to finish by a single craftsman, who not only hand selects his raw materials, but also test fires each gun before it's ready to ship. Each product is a promise-and we take that very seriously. Every day we walk into our workshop, we work to make meaningful headway in the impossible pursuit of perfection. We always strive to challenge ourselves to make the best products we can. It's not just our ethos as makers-we're avid shooters too. We understand and appreciate the experience as a whole, which is why we're devoted to building the best products we can.